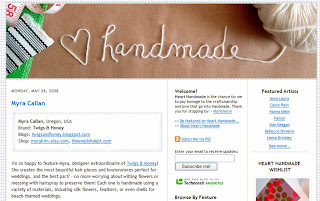 Featured Artist :: Heart Handmade Blog :: Thank you Marichelle! The wonderfully talented and unique blogger, Marichelle, has posted the interview she had with me on her FABULOUS blog, Heart Handmade. She features different artists each week, and I'm so honored to be in the company of such talented and amazing artists! 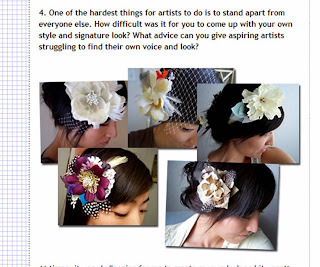 You must visit her site to read about all these great artists and you can check out my interview while you are at it. She adds her own personal touch when pulling the interview together and has great photos and other surprises! Thank you so much Marichelle! I am very honored!